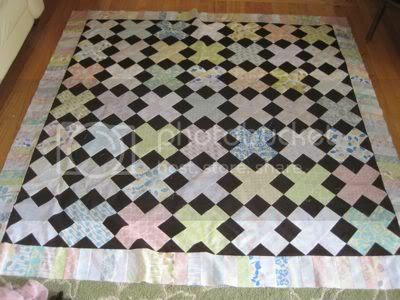 ...now just to find the time to actually quilt it. Also, I need backing fabric... hum. Flannel maybe? Binding will be the same dark brown and the background squares.